Ministry Ideaz: Fun Assembly Supplies for Kids! Ministry Ideaz provides a variety of high-quality ministry supplies - from leather Bible covers and organizers to notetaking supplies. 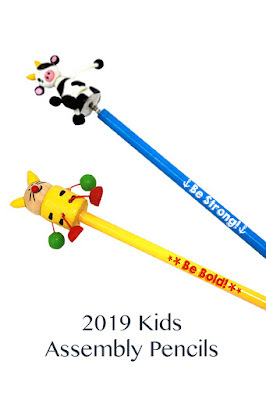 Based in South America, Ministry Ideaz supplies valuable notebooks, pens, and pencils for 2019 "Be Bold" and "Be strong" Assemblies - as they have for past conventions and assemblies.